WhatsApp Messenger! This app is all about the messaging. It’s provides chats on a wide scale with voice calling features. The app of course uses Internet connection to power. So you might think what is so different about this app compared to Viber and Skype? Well, quite a lot! WhatsApp may not be offering video calling yet but it does offer greater reach and quality. For example, WhatsApp video sharing is amazing. It allows you send any size video with cropping and slitting options. Whatsapp became the new buzz since it was bought by Facebook Inc. in 2014. Also to note: Since Facebook Inc. bought WhatsApp it has completely remodelled the app. After a quick research online I learnt that WhatsApp was founded in 2009 by Brian Acton and Jan Koum both former employees of Yahoo. To date there are over 5 million users of WhatsApp all around the world. The app has said to launch its video calling feature in June but we are still waiting! WhatsApp is available on Android, iOS and other smartphone OS. WhatsApp has its own photo tab. This allows you to instantly take a picture and send it. The app also provides a galley tab where stored images can be sent through a search. The photo is a great way of communicating considering the video calling feature is not there yet. Whatsapp messaging feature is so simple. Once you add a contact on your phone or when you install WhatsApp it will automatically sync your contacts. Also when you are on your contact list you can directly choose to make a free call or text through the WhatsApp. So messaging through WhatsApp feels like texting. The messaging feature comes with emoticons which are right next to the typing tab. There are three tabs on the app the first is calls followed by chats and contacts. So let’s start with the call quality because I was so amazed when trying this feature after a break of three weeks. 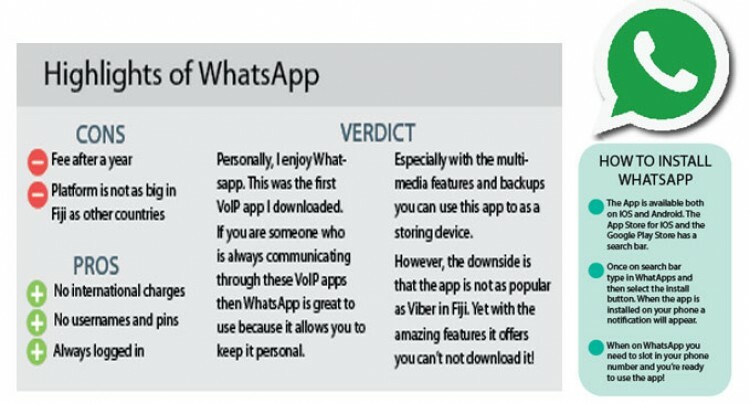 WhatsApp is the newest kid on the block when it comes to voice calling and it still hadn’t mastered the feature. However, a few weeks later it has really stepped up its game. When using the voice calling feature you can’t believe you are using a VoIP app. The quality has improved vastly, offering high quality and no latency. The call feature again is located on your contact list for other WhatsApp users. It is the first tab on the app. Voice calling may be available. However, you can also use the recording feature. The app offers a recording tab whereby you can instantly do a voice recording and send it over. You can also send a recording through storage. Yes, WhatsApp hasn’t launched it video calling feature yet! However, in the meantime you still can do video chat through the video sharing feature. It works like a simple video recording – all you need to do is select the video tab then do a recording and send away. Once a video is sent or received it downloads and saved onto your device. On the downside you can’t do instant video calling but you can still communicate through sharing video. The great thing about this feature is that the video size is unlimited and allows cropping and slitting of the video. When WhatsApp initially started the group chat was then introduced. This feature allows you to chat with a number of people from your contacts. This feature can be very useful with planning and also keep you can store images and photos. The group chats can be named and is saved despite not being online. Meaning even if you miss your notifications or turn off your phone, WhatsApp will save your recent messages until the next time you use the app. Much More: You can exchange contacts, set custom wallpapers and notification sounds, email chat history, broadcast messages to multiple contacts at once, and more! No User Names and PINs: Why bother having to remember yet another username or PIN? WhatsApp works with your phone number, just like SMS, and integrates seamlessly with your phone’s existing address book. So if you are lost and can’t find your way around there is no need to worry as long as you have internet connection. With WhatsApp you can share your location with your friends. This is available on the top right hand corner of the app. WhatsApp allows you to directly send contacts from your contact list. There is a tab on the right hand corner that allows this.